Greenfield provide a complete precision sheet metal service to offer customers the most comprehensive manufacturing support. 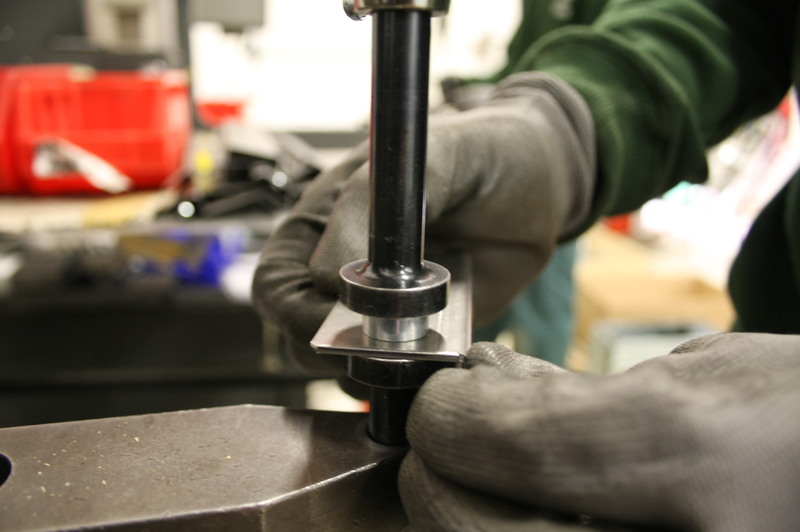 Stud insertion is a perfect way of fixing two sheet metal components together without using fabrication. If the part does not suit a welding process or may just need to be separated at a later stage Greenfield can provide the answer. Inserting a vast amount of fixings Greenfield have four Haeger inserting machines all fitted with auto bowl feeders. Insert a variety of stand-offs, anchor rivets, clinch nuts male and female. Flexible touch screen controllers with stored programs bring up visual drawing guides to eliminate costly errors on complicated panels and sub-assembles. In addition please contact our dedicated technical team who will be more than happy to advise on the best cost effective solution.